Despite extensive theoretical work on process-calculi, virtual machine specifications and implementations of actual computational models are still scarce. 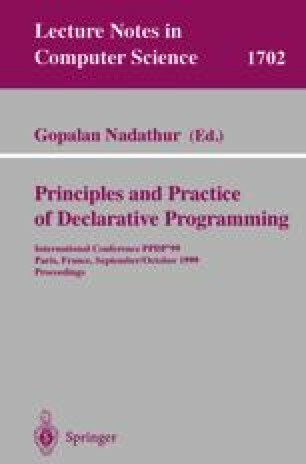 This paper presents a virtual machine for a strongly typed, polymorphic, concurrent, object-oriented programming language based on the TyCO process calculus. The system runs byte-code files, assembled from an intermediate assembly language representation, which is in turn generated by a compiler. Code optimizations are provided by the compiler coupled with a type-inference system. The design and implementation of the virtual machine focuses on performance, compactness, and architecture independence with a view to mobile computing. The assembly code emphasizes readability and efficient byte code generation. The byte code has a simple layout and is a compromise between size and performance. We present some performance results and compare them to other languages such as Pict, Oz, and JoCaml.